David Miranda, the partner of US journalist Glenn Greenwald, who published documents about the NSA and GCHQ spying activities leaked by Edward Snowden, in Britain’s Guardian newspaper was questioned for nine hours in London’s Heathrow airport on Sunday under Schedule 7 of the UK’s anti-terrorism law. Miranda’s lawyer, Gwendolen Morgan, said her client was seeking a judicial review of the legal basis for his detention and wanted assurances that the property seized from him by police would not be examined. “We’ve sought undertakings that there will be no inspection, copying or disclosure, transfer or interference in any other way with our client’s data,” she told Reuters. Morgan said the "letter before action" had been sent to London's police chief and the Home Secretary. It also demanded that they detail whether Miranda's data had already been passed on to anyone else, and if so, to whom and why. "We're waiting to hear back this afternoon from both the defendants. Failing that we will be left with no option but to issue urgent proceedings in the High Court tomorrow,” she said. It is unclear whether this would in reality stop British authorities from inspecting the data, which is already in their possession. But the Guardian has said that many journalists pass through Heathrow every day and should not have to worry about whether their material is safe. The paper has said it is “supportive” of Miranda. The letter form Miranda's lawyer to the UK's Home Office, as published by the Guardian. Miranda, in his first interview since arriving home in Rio de Janeiro, said the UK authorities were trying to intimidate him and threatened him with jail unless he cooperated and handed over the passwords to his computer and mobile phone. “They were threatening me all the time and saying I would be put in jail if I didn’t co-operate. They treated me like I was criminal or someone about to attack the UK. It was exhausting and frustrating but I knew I wasn’t doing anything wrong,” he said. Miranda was on his way back to Brazil from Berlin where he had been ferrying material back for his partner Greenwald and Laura Poitras, a film maker who has also been working on stories related to the NSA files leaked by Edward Snowden. “I was in a country with different laws, in a room with seven agents coming and going who kept asking me questions. 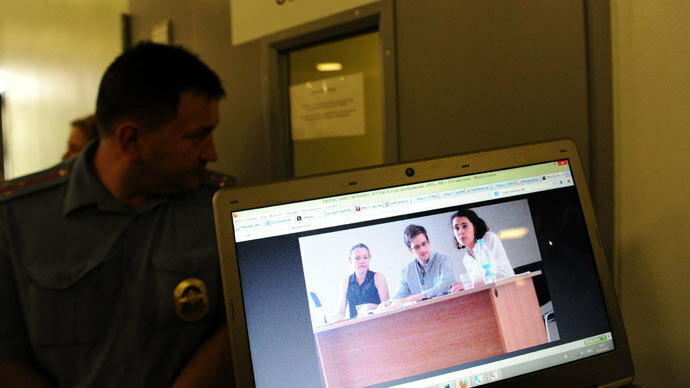 I thought I might be detained for a very long time,” he continued. "This law shouldn't be given to police officers. They use it to get access to documents or people that they cannot get the legal way through courts or judges. It's a total abuse of power," he added. Miranda says he was offered a cup of water and was offered a lawyer but says he refused both and didn’t have a drink until he got a Coke from the machine in the corridor after eight hours of questioning. He also says he was refused an interpreter and was not allowed to call his partner Glenn who is also a qualified lawyer. After eight hours he was eventually allowed to choose his own lawyer. Miranda also claims that the UK was doing the biding of the US, something which the White House has denied. Although Washington has admitted that they were given a ‘heads up’ by the British. Miranda seemed perplexed at the number and range of questions he was asked while being interrogated. Most focused on Snowden, Greenwald and Poitras, but also a host of random subjects such as the protests in Brazil, why people there were unhappy and who he knew in the Brazilian government. 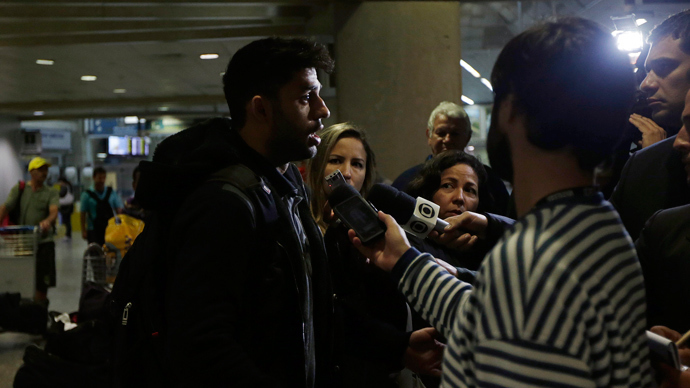 The Home Office has defended their decision to detain David Miranda. “The government and the police have a duty to protect the public and our national security. If the police believe that an individual is in possession of highly sensitive stolen information that would help terrorism, then they should act and the law provides them with a framework to do that. Those who oppose this action need to think about what they are condoning,” a spokesman said in a statement. The British police have also defended their actions stating what they did was “legally and procedurally sound”. 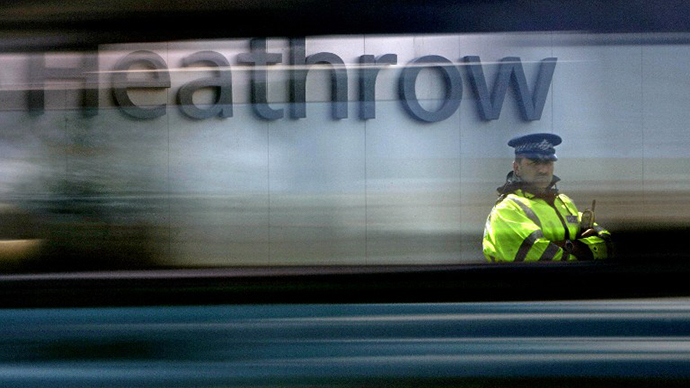 “The examination of a 28-year old man under schedule 7 of the Terrorism Act 2000 at Heathrow Airport on Sunday was subject to detailed decision making process. Contrary to some reports the man was offered legal representation while under examination and a solicitor attended. No complaint has been received by the Metropolitan Police Service at this time,” the Metropolitan Police said in statement. It was reported in the UK’s Daily Mail Monday that Miranda was carrying encrypted documents linked to Edward Snowden’s leaks. The Mail, a right-wing pro-British establishment newspaper, did not give a source for the information. 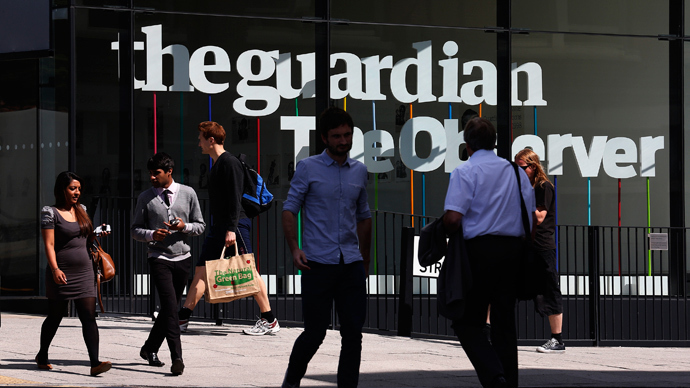 A further twist to the tale emerged after an opinion piece published on Monday by Alan Rusbridger, the editor of the Guardian, that the paper was forced to let British agents into its offices to oversee the destruction of leaked NSA documents after the government threatened the paper with legal action. 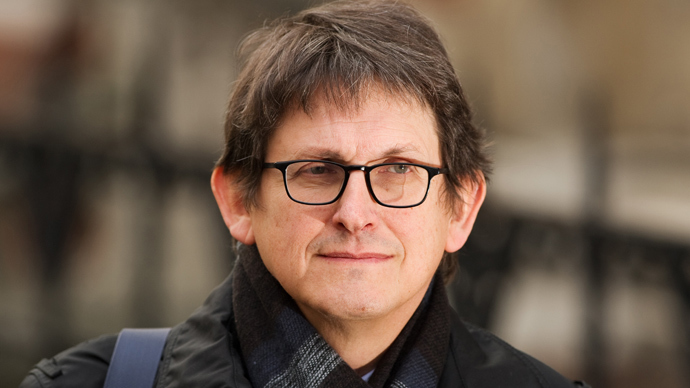 Rusbridger said in an interview with the BBC’s World at One on Tuesday that the Guardian has held back a “great deal” of material on national security grounds and that this had been acknowledged by Whitehall. He also said that Greenwald writes in a very “careful meticulous way” and that people should not take his threat to write more damaging material about Britain’s spies too literally.